All kinds of lunches, dinners and holiday meals are included in Simply Bento. This cookbook includes Japanese, sandwich, noodle, rice and sushi bento recipes. 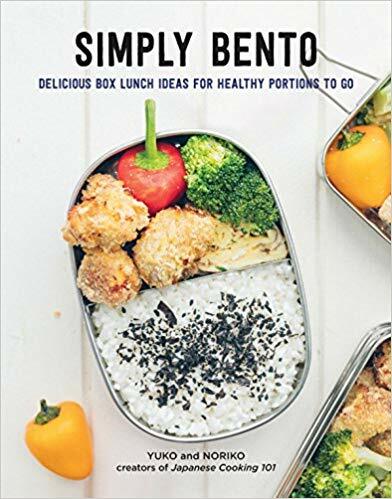 It has a full chapter featuring vegan bento recipes and another for low carb bento. Each entree’s recipe comes with suggestions for side dishes and a make-ahead plan. Most recipes include a beautiful full color picture. As a lover of Japanese culture through manga and anime, I want to create a real bento box for myself. Only three things stand in my way: being gluten free; not having any time to cook anything, even breakfast, in the morning; and not being a great chef. While this cookbook doesn’t provide allergen information, the recipe ingredients can be easily reviewed and substituted if necessary. The second issue means that almost all of these recipes have to wait for the weekend for me (and I assume many others) to have the time to cook them. Many of the cooking techniques require at least a medium skill set. If you are a beginning chef, it’s probably better to start with an easier book. I loved the instructions for loading up your pantry with Japanese staples. Simply Bento includes instructions to make most of the Japanese sauces, like teriyaki and sweet and sour, from scratch. I also loved the cute side dishes like cherry tomatoes stuffed with cottage cheese and Tako (octopus) Sausage made with cocktail franks. Some of the recipes are traditional Japanese and some are Americanized like Taco Rice, Hamburger and Hot Dog Bento. Love Japanese culture? want to try something different for lunch? Have an extra 30 minutes in the morning and some good knife skills? Simply Bento is highly recommended for you. Unfortunately, due to the lack of nutritional information, I have to take off 1 star leaving Simply Bento with 4 stars. 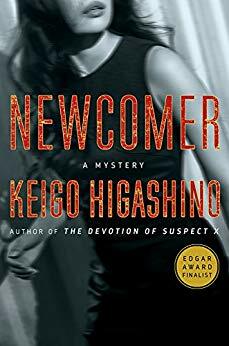 Thanks to Quarto, Race Point Publishing and NetGalley for an advanced copy.